- Sari Colt on 五月 31, 2016. Finding the right diamond ring is not easy. 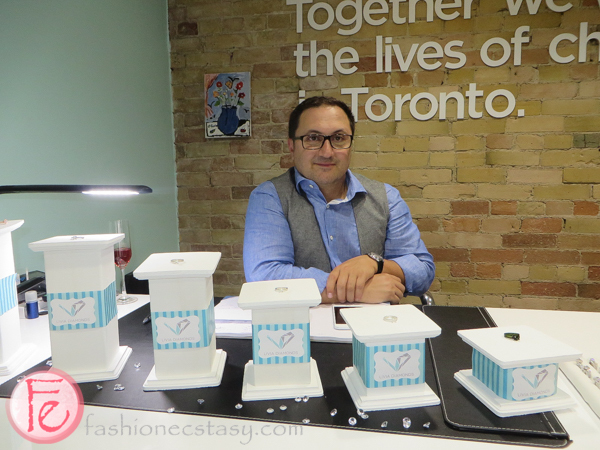 Instead of searching all over, it is much easier to meet with Toronto jeweller, Aret Oymakas of Livia Diamonds and have him custom design the ring of your dreams. Oymakas has been designing custom engagement rings for twenty-five years and comes to it naturally, having learned from his father and his grandfather. He provides free consultation and promises no pressure sales. He enjoys meeting with clients on an intimate one on one basis and finding out who they are and incorporating their ideas and personalities into the perfect bespoke ring. Each ring tells a different story. Some of the special rings that he has worked on include adding a Hindu elephant symbol and creating a wave design which represents where the couple originally met. It makes the ring so much more personalized when a couple’s love story is infused into the design. Oymakas explained the process of producing a diamond engagement ring. Once the design is agreed upon, then a preliminary mold is created. After casting the mold, it undergoes a pre-polish and then a final polish. A prototype ring is done first and then if they are happy with it, then the real ring is finally made. The timeline is about three weeks for the prototype ring and then an additional two weeks for the final ring. Only GIA non-conflict diamonds are used at Livia Diamonds. Some of the diamonds are in stock at the store, and Oymakas is more than happy to source the special stone for a client. In terms of trends, oval stones are the most popular. 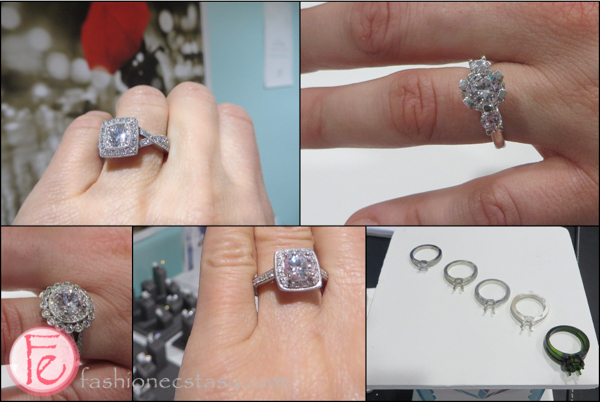 We had the chance to see a 2.5 carat emerald cut stone up close which has a retail value of $100,000.00. It was quite beautiful. Livia Diamonds gives a percentage of the profit on every sale to the Hospital for Sick Children (SickKids Hospital). It is their way of giving back.